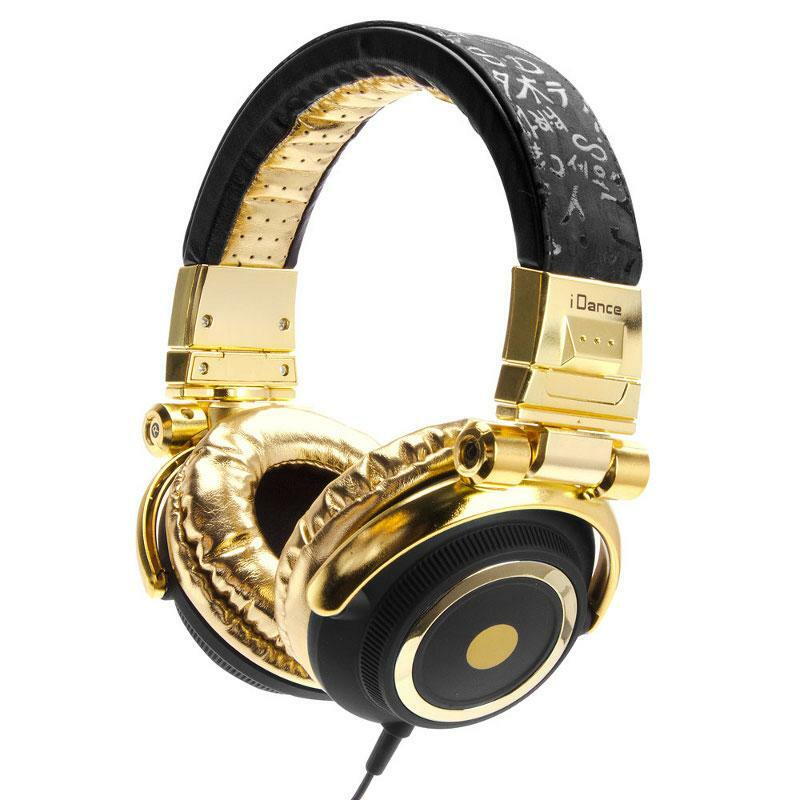 iDance Disco 100 Headphones Gold / Black Headphones.iDance Disco 100 Over Ear Stereo Headphones . Visually salient DJ Headphones with high wearing comfort and powerful sound . iDance Disco 100 Over Ear Stereo Headphones . Visually salient DJ Headphones with high wearing comfort and powerful sound . The iDance Disco 100 headphones impresses with its classy design including aluminum finish and strong color combinations . The clever design ensures example with the extra wide strap for comfort even during prolonged use . The padded and adjustable headband of iDance Disco 100 Over Ear Headphones can be optimally adapted to the personal requirements. The ear cups are foldable for compact and easy transportation . The intrinsic value of iDance Disco 100 stereo headphones are absolutely convincing. For clear reproduction of music provide , among other things the large 40mm driver , the Super Bass , and the high sensitivity of 108dB . The good noise isolation makes her own, to make the iDance Disco 100 to an all around better DJ headphones . On top of the headphones provides a format compatible with iPad , iPod and iPhone in-line microphone for pleasant conversation . Included with the iDance Disco 100 Headphones are finally two more Download coupons for Music Software included : PCDJ Dex 2 LE is an excellent DJ mixing software , the useful Magix mufin player plays and manages all types of music files. Suitable iDance the disco is 100 headphones especially for DJ work, but also makes the private use of a good figure. Please note that you can get software to the voucher for the PCDJ Dex 3 LE mixing, must registireren the article on the manufacturer's website.